Amazon and Techstars announced the nine companies selected for the Amazon Alexa Accelerator, which began its initial 13-week program in Seattle Monday. 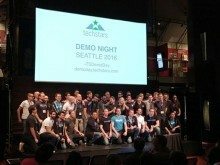 Techstars’ big day: Amazon tapped Techstars to run its Alexa Accelerator. Techstars, with a global accelerator network now including 30 programs, began 11 accelerators Monday welcoming 114 new companies to its portfolio. One of those kicking off this week is the Techstars Mobility program in Detroit, which, with its third cohort, features a couple of Seattle connections in the person of Ian Sefferman, relocating to the Motor City to be the Techstars Mobility entrepreneur-in-residence; and in startup company Seeva, founded by Seattle daughter-and-father team Diane and Jere Lansinger to make technology that cleans vehicles’ sensors. Aspinity (Morgantown, WV): Analog signal processing circuits to improve efficiency of IoT data capture and analytics. Novel Effect (Seattle): Voice-activated technology to add music and sound effects to stories read aloud. Play Impossible (Seattle): Combining digital and physical play for new interactive outdoor ball games. Semantica Labs (Israel / New York City): Human-machine collaboration to improve efficiency of customer support, sales, and IT help desks. Sensible Object (London): Games that combine connected smart home devices for socialization and entertainment. Tinitell (Stockholm, Sweden): Wearable mobile phone geared for kids with limited calling, watch, and GPS tracking features. Twine (Boulder, CO): Connected hardware to integrate physical meetings into Slack. uTuneIn / MSZ, Inc. (New York City): Voice and chat app validation with real users. Coming up: The companies will present themselves to investors and the public in Seattle on Oct. 17. Executive change: Meanwhile, there’s a big executive change happening at the top of Amazon’s Alexa business. 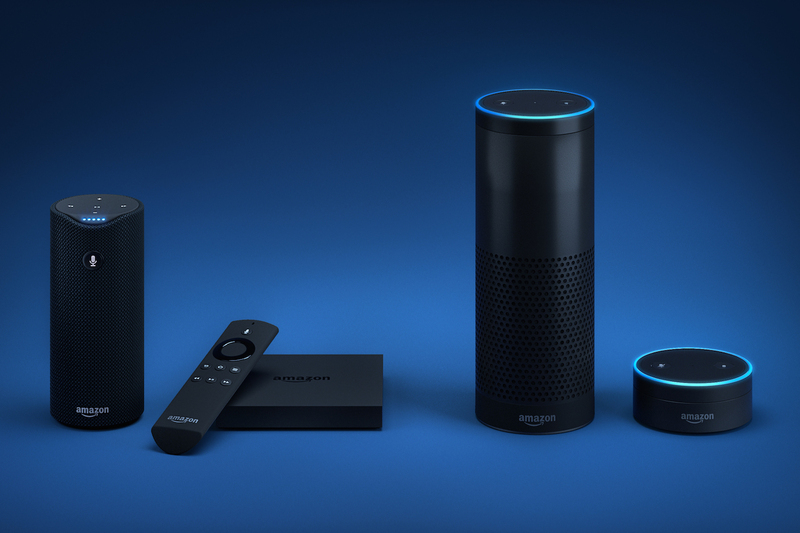 As GeekWire reports, Mike George, the vice president in charge of Alexa and Echo, has retired. Tom Taylor replaces him as senior vice president of Amazon Alexa. Taylor was previously the senior vice president of Amazon Seller Services, including payment, fulfillment, and shipping.